Back to school time is upon us and, for some of you, that means getting ready to go off to college for the first time. Before you grab your twin XL sheets and Easy Mac and get ready to depart, be sure you've picked up some of the other essentials to help keep you organized and add a little character to your room. Sure, you might not be allowed to paint the walls, but that doesn't mean you can't have fun with your space. 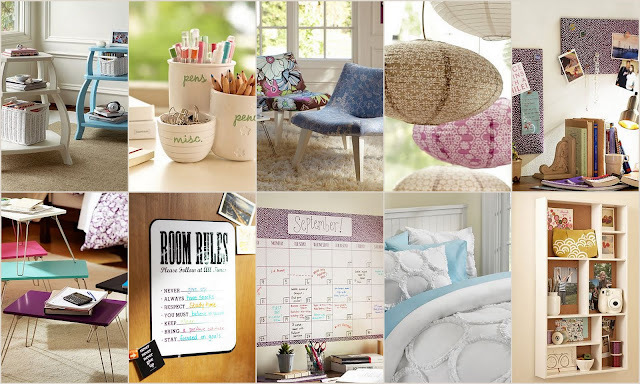 Here's a look at some of the great dorm decor items available at PB Teen.